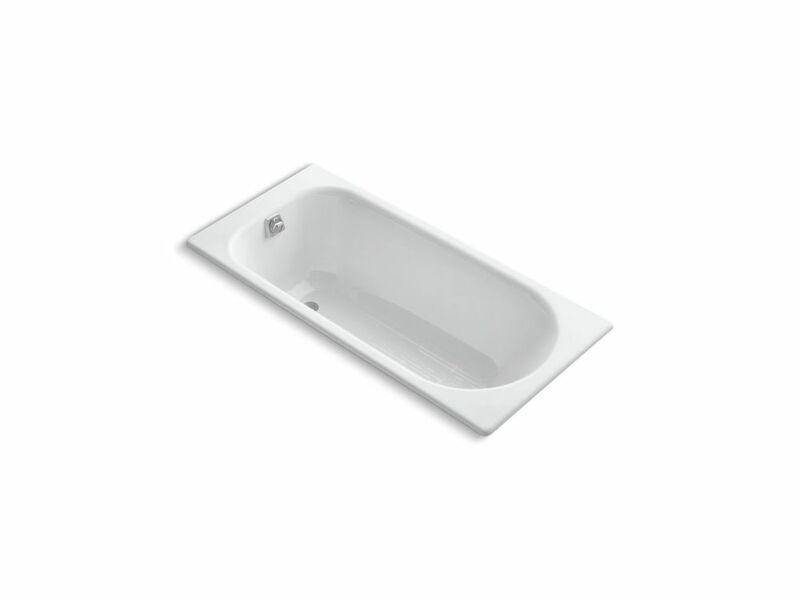 Add contemporary, streamlined style to your bathroom with the Soissons bath. This bath features clean lines and a narrow footprint that makes it ideal for smaller bathrooms. Crafted from enameled cast iron with an easy-to-clean, slip-resistant surface, this bath offers years of reliable performance. Soissons 59 inch X 28 inch Drop Inch Bath With Reversible Drain, White Add contemporary, streamlined style to your bathroom with the Soissons bath. This bath features clean lines and a narrow footprint that makes it ideal for smaller bathrooms. Crafted from enameled cast iron with an easy-to-clean, slip-resistant surface, this bath offers years of reliable performance.